Know your VoIP Phone System and VoIP Phone types: Cebod telecom "
If your business has recently switched from a traditional phone system to the new advancement in telecommunications technology known VOIP, you should know that there are many VOIP capable desktop phones – corded and cordless – in the marketplace designed to fit your needs. Each phone system comes with its own unique set of features and you can purchase them from a variety of VOIP dealers. To help you understand what a VOIP phone is and how you can benefit from it, here is a list of phones now available on the market. Just like traditional desktop phones, companies who switch to VOIP are choosing a vast array of corded desktop phones for their office spaces, making it a staple tool in the telecommunications market. Some are multi-functional, while others are very basic and easy to use. Some of the popular brands are Yealink, Cisco, Grand stream which comes in several models and functionality. If you are a business owner who is constantly on the move in the office, you may want to consider going cordless when it comes to purchasing your new VOIP hardware. These types of phones offer you the flexibility to move from one office space to another as you work throughout the day, while still providing you with the rich features offered by your VOIP system. 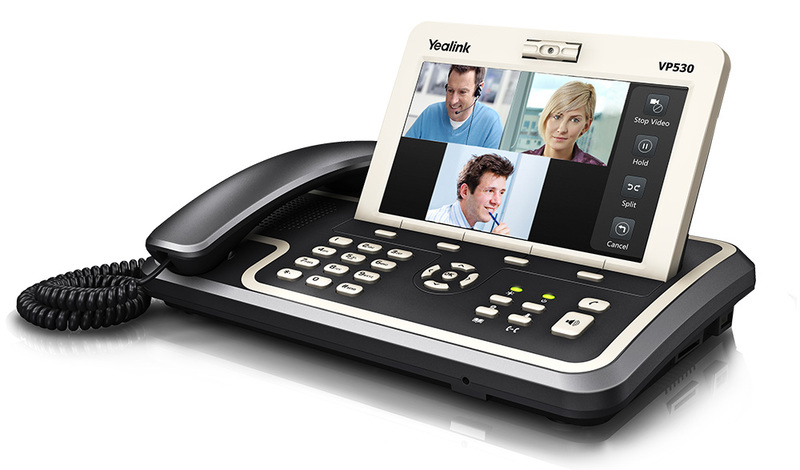 One popular item on the market that helps you do just that is the new W54 H DECT Handset, offered by Yealink. It’s a handset that offers consumers an extended battery life, and is compatible with the W56P DECT Solution. In addition to the traditional style desktop phones – corded and cordless – there is also a wide array of conference phones to suit your needs as a business owner. Many of these phones offer a variety of versatility and function, such as being USB capable or Bluetooth enabled capable – pairing with almost any of your devices such as a computer, mobile phone, or tablet. However, if you are looking for something that is simple, yet functional, you may want to try the Unified IP Conference Phone 8831 made by Cisco. It is a simple solution to many of the challenges faced during conference calls and provides an assortment of deployment options. The enhanced capability of VOIP technology also offers you the ability to grab a phone that provides video conferencing. Video phones provide you with effectiveness of real-time communications with instant access to video while utilizing VOIP’s video conferencing applications to its maximum capacity. With a video phone, you don’t need a separate unit to host a video conference. You only need your desktop. The six-line multimedia GXV3275 by Grandstream is one such phone that offers you this capability. It comes with integrated Wi-Fi, a built-in web browser, and many other functions. You may not have known it, but if you have Skype or iChat for your home computer, then you’ve been using what is known as a softphone. A softphone is a VOIP application that you install on your computer or cell phone to make phone calls. Cebod Telecom phone app can be downloaded on laptop or cell phone to make calls without using your mobile network minutes. This way you can take your business anywhere you go. As breakthroughs in telecommunication technology continues to grow, VOIP is quickly becoming the preferred telecom method for business. Choose VOIP phone type which is best suited to your business need.